The story was great, the characters were lovable and the action was awesome. Vane was a hot guy, who didn't really know what he wanted until Bride. I thought their story was really sweet. The repetitive bouts of low self-esteem annoyed me after a while. For those who are fans of Sherrilyn Kenyon, this is a real treat that you shouldn't miss! To my fellow paranormal romance junkies, this is another book to add in your "To Read" list. 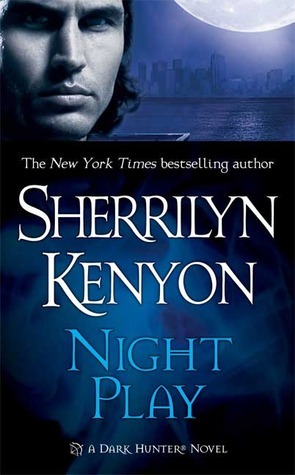 Night play is the fifth book in the Dark Hunter series. Technically, this is more of a Were-Hunter book since the main characters aren’t really Dark Hunters. Either way, it is still part of the Dark Hunter world. The book was published on August 3, 2004. Vane is an Arcadian wolf in a Kattagaria wolf pack. With the help of his siblings, he had kept his secret from his pack and lived. No one was more surprised than he was when he suddenly turned human as a teen. With no knowledge on how to survive as a human, he had relied solely on his siblings for everything. He would do anything for Fang and Anya. When the Arcadians suddenly attacked their pack while Anya was in labor with her pups, she had died with her pups. When he failed to protect Anya, he and Fang were sentenced to death in the swamps. He wouldn’t give up trying to escape. Suddenly the Daimons came to kill them and both he and Fang barely made it out alive. Fang seemed to have retreated inside himself. He wasn’t responsive. Since both of them had nowhere else to go, he sought the Sanctuary. When a run around the town brought him to a female’s store, he was awestruck by her. He had never wanted a human before. What could this mean? Bride really should have seen this one coming. Her boyfriend of five years suddenly breaks up with her. She knew better, he had used her to get the anchor post and now that he had it. She wasn’t good enough anymore. She was sick of going into diets and forced to go to the gym. None of those worked for her anyways. When a hot stranger goes into her store to look around, she tried not to stare. With her body responding to the guy, she thought she would be the last woman he would ever want. He could get just about any girl. He was even better looking than her ex. So when he started to express interest and they stumbled into each other’s arms. She was more than a little dazed by it all. What would a really hot guy want with her? Did he have an agenda like her ex? This is the story of Vane and Bride. I liked the characters in this one. Vane was not your typical hot guy who wanted the really hot model type women. His taste was more on the voluptuous and hour-glass shaped women, which I respect. His loyalty to family was also admirable. Bride was beautiful but without the model curves that society deems ideal. She was sweet, a little insecure and mothering. Both the lead characters fit each other and there was chemistry. Their love story was rocky, but I liked it. The down side of this one is that, after reading several books which happened along the same timeline, the story gets a little washed up. The little insecurities of the characters annoyed me at some point. I can only take so much low self-esteem from a book for brief periods, after that it was just annoying. Regardless, it was still good on its own minus the comparison of other books in the series. Overall, I would rate this book with 4.5 out of 5. The characters were endearing, there was danger, action and love. There were hot intimate moments to enjoy, a hot guy to fantasize over and a great story to remember. 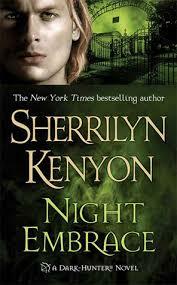 For paranormal romance readers and Sherrilyn Kenyon fans, this is one book you shouldn’t miss out on.